Playtech is always among the leading software providers in the world with millions of players spinning the reels of their video slot games across Playtech-powered casinos every single day. They have a big number of video slot games in their offer, but the games that are a trademark for Playtech are most definitely the Marvel Jackpots collection. 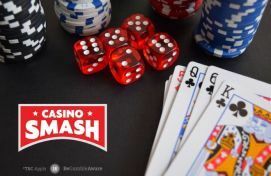 The Marvels are the best Playtech has to offer and according to many players, these are the best video slot games on the market today. Why is this so? The first reason is that the games theme comes from the Marvel comics and the Marvel blockbuster movies accordingly. Playtech managed to take this theme to the very top level in visual quality, implementing outstanding animations, symbol details, and background music. 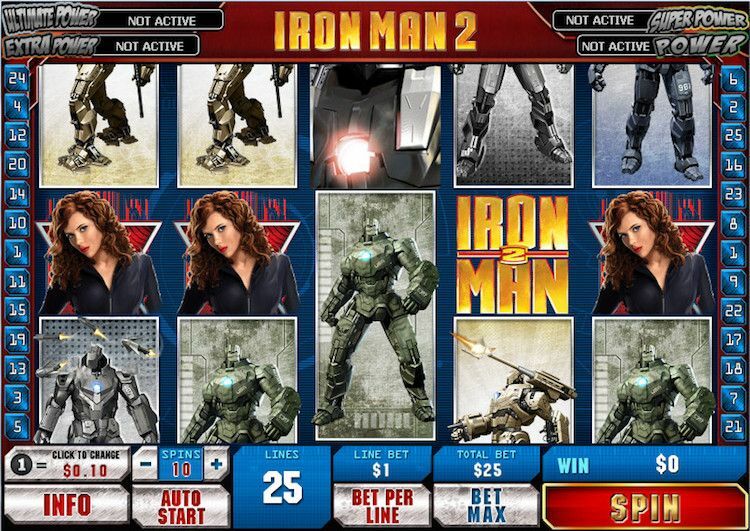 The second reason lays in the bonus rounds each of the Marvel slots has installed. The features are accustomed according to the story behind the main characters and the powers they have in the original comic books. This way the game flow is natural and original with the theme even in the bonus feature. 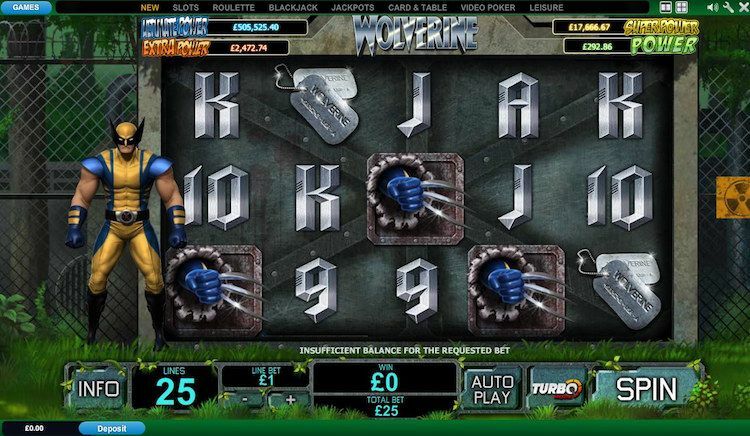 The last, but most important feature why Marvel slots are so popular is the Jackpots attached. 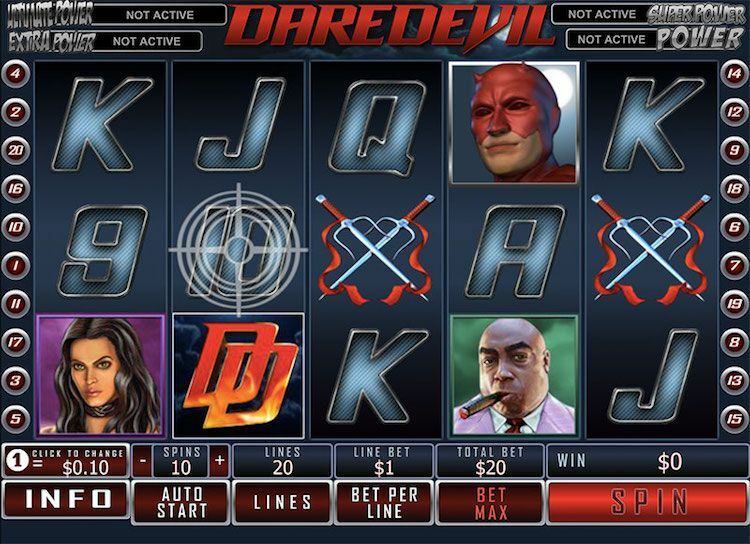 Each Marvel slot has a random Jackpot prize which can be triggered even while playing on the minimum bet. The Jackpots can range anywhere from $100 to $500,000 and fluctuate over time. They are divided into four categories: Power, Extra Power, Super Power, and Ultimate Power. Even though the RTP value on the Marvel slots is lower than on many other slots in the industry, players can still hit big payouts during base play and in the bonus features. This is why the Marvels are the top choice games for many slot fans online. 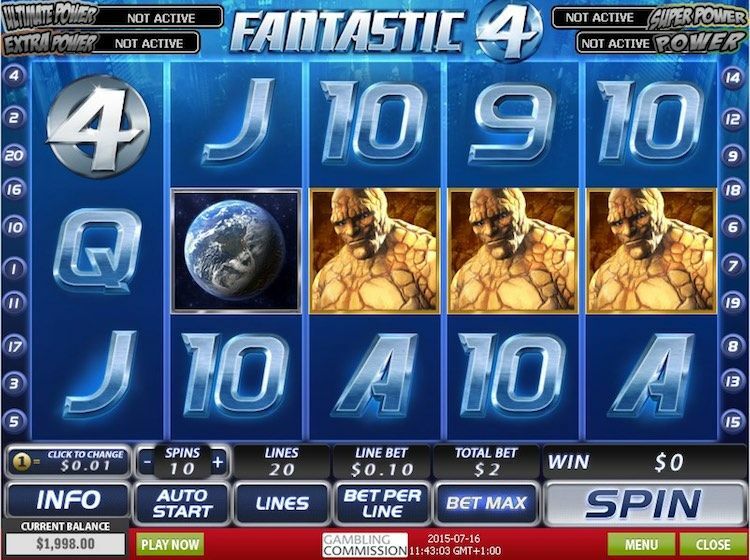 According to many players, Fantastic Four is one of the best Marvel slots in the collection. The game theme is from the same name comic book and blockbuster movie while the bonus features are designed around each of the four main characters: Mr Fantastic, Human Torch, Invisible Woman, and The Thing. The bonus is triggered with 3 or more scattered Earth symbols on the reels, awarding 12 free spins. 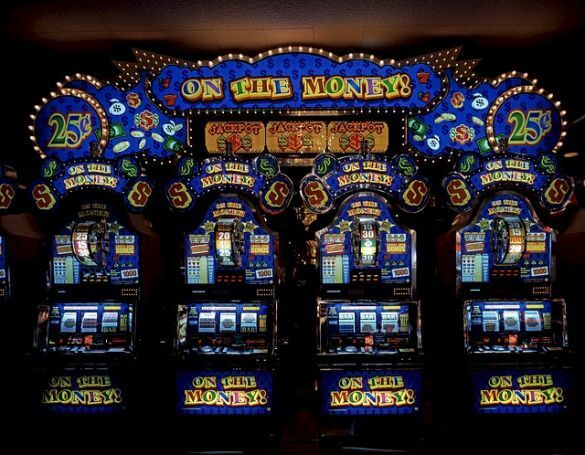 Once the central reel is covered with one of the main symbols extra free spins are won and depending on the fantastic character players can win expanding wilds, sticky wilds, multipliers, and 5-of-a-kind payouts. The Day Walker is a personal favorite of many Marvel fans. 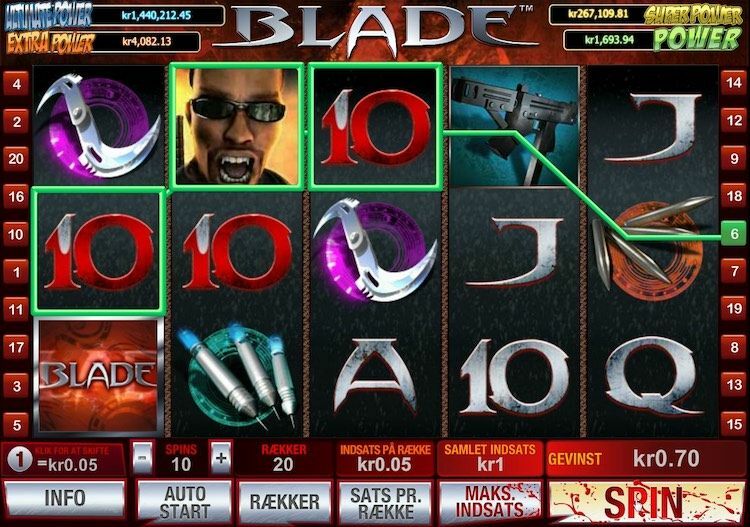 Base play payouts in Blade are boosted by the Blade Split symbol on reel five helping in bigger winning combinations and even 6 of a kind wins. Once 3 or more scatters hit the reels 15 free spins with increasing multipliers for every win from x2 to x5 are awarded, and the scatters act as extra wilds. This dazzling assassin will keep you spinning the reels for many hours as you wait for those three scatters to land on the reels. Once they do the winning spree is about to commence, and you have to pick your weapon on choice. 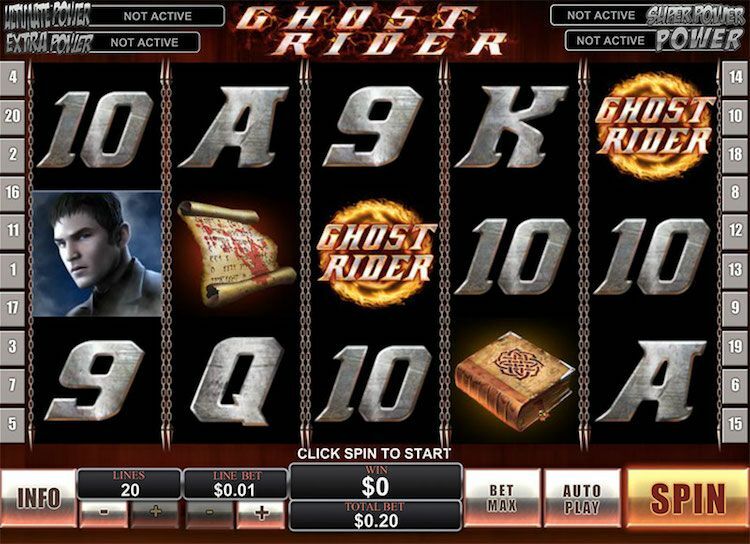 The choice is up to you depending if your aim is more free spins or higher multipliers. Either way Elektra is there to help with an expanding wild function each time she appears on the reels. Hulk is one greenhorn you don’t want to make angry. This Marvel slot is packed with bonus features starting from the Expanding Hulk Wild re-spin on the central position on reel 3 or a full set of 3 central wild reels each time the wild Hulk lands anywhere on reels 2,3 and 4. Don’t get your hopes up when the law jumps in to help as they will feel the Hulk Rage smashing police cars for cash and helicopters for multipliers. 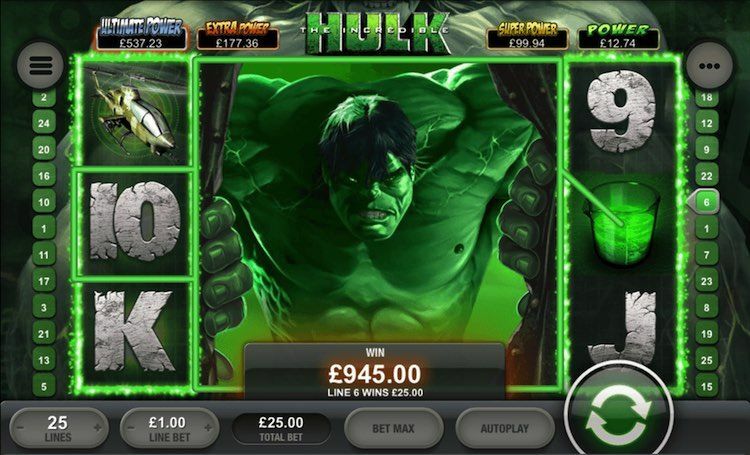 Once 3 Incredible Hulk scatters land on the reels you can enjoy ten free spins with tripled payouts and a chance for re-triggers. Thor is the mighty avenger and Nordic god that fights to preserve the balance between people and residents of the seven kingdoms. 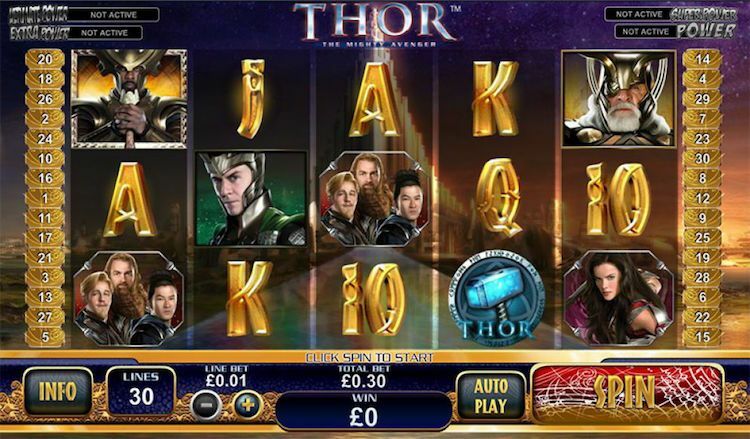 In the Thor slots game the action is between Earth and Jotunheim where you can win an unlimited number of free spins with frozen or burning wilds and doubled payouts. The tension is present throughout the base play as well with extra wilds and wild reels awarded. Whatever you do don’t get into a bare-knuckle fight with this guy. Underneath that tough look hides an even tougher Adamantium skeleton and an equally tough temper. If you get on his nerves he’ll go on a Berserker Rage scraping wilds across the reels and rows. When it’s time for his medicine 12 free spins will be awarded frozen wilds for the next spin for as long as the juice from the syringes keeps flowing. Ghost Rider is the perfect example what you get when you make a deal with the devil; a super cool bike and a hot look! Join this soul collector on his holy mission on collecting souls as he shoots his way through the Ghost Hunt Bonus. During the free spins bonus round, all payouts will be tripled in the ten free spins, and every appearance of the soul collector on a reel will turn it wild. Don’t be confused when you open the Iron Man 2 slots, everything is all right with your computer, only the symbols are designed in the Stark vision covering several positions on a reel. 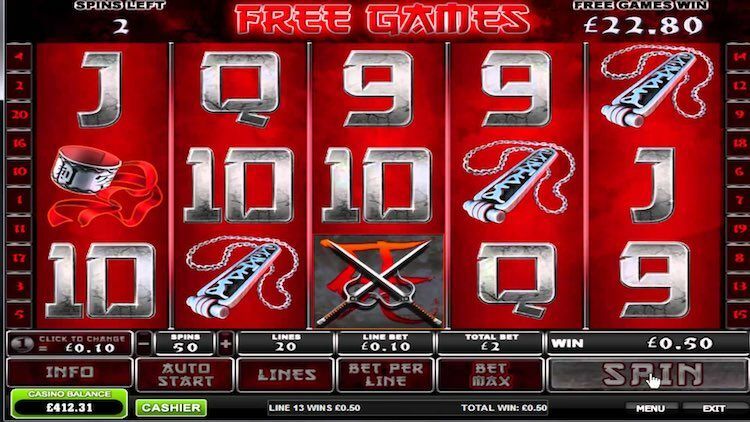 You can feel the adrenaline pumping in the ten free spins awarded when 3 Iron Man logos hit the reels, as a sticky wild stays on the central position on reel 3. With each two passing spins, the payouts multiplier is increased leaving you with a staggering x6 payouts during the last pair of free spins. He may not see what is going on but he can still leave you in bruises in the blink of an eye. Daredevil is the hero who battles Kingpin every step of the way and his villain sidekick Bullseye. Hit the right position where Bullseye will land and get a win of 3x bet or land three double D's for the free spins bonus. During each of the ten free spins, Daredevils radar will trigger 1-3 extra wilds on the reels and infinite extra free spins can be triggered. The Avengers is a nifty group of superheroes on a mission to save the world when everything else fails. You will want to see them all line up on a pay line as you will walk away richer for 200 x your stake, but the real fun begins during the bonus round. Once the Wall of Heroes is triggered, you have a chance to play any of the features that any of the Avengers carry. Whether it’s Thor, Hulk, Iron Man, or Captain America you can win extra multipliers, extra free spins, sticky wilds, extra wilds or stacked wilds. The fun never ends. Check Out The Five New Games Microgaming is Just About to Release!